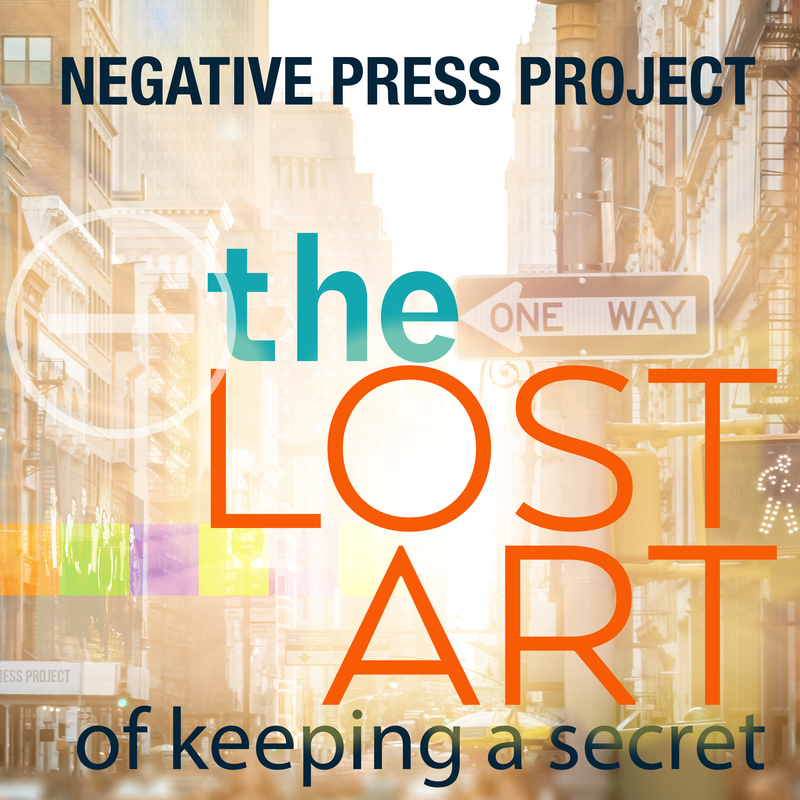 Negative Press Project (NPP) releases its first single, “The Lost Art of Keeping A Secret,” A Queens of the Stone Age song, from their upcoming 2019 release, Within. Negative Press Project, self described as jazz adjacent, alternating between through arranged to open and improvised, escalating towards art and indie rock energy, the Oakland, CA based collective Negative Press Project (NPP) offers The Lost Art Of Keeping A Secret, a Queens of the Stone Age song. From Negative Press Project’s forthcoming 2019 release Within on Ridgeway Records. Negative Press Project (NPP) is a self described jazz and indie/art rock influenced music collective based out of Oakland, CA. “Versatility abounds, and they always look for new ground to explore,” says The Bay Bridged. 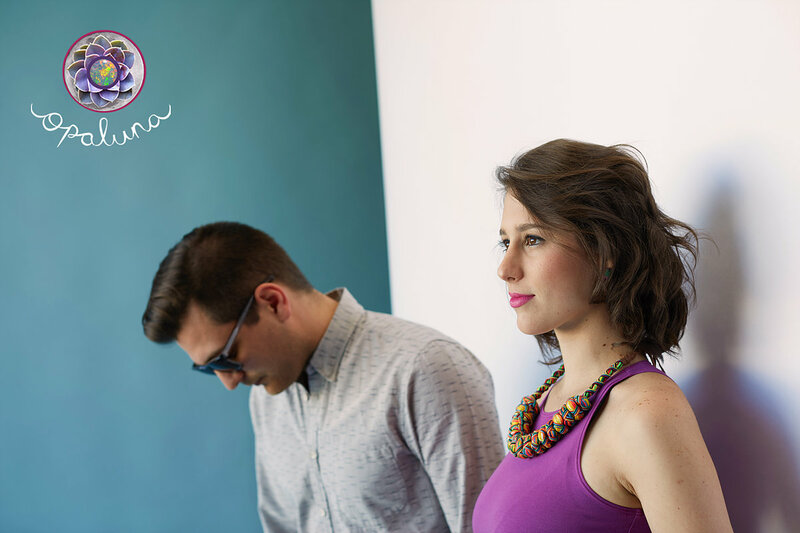 Co-led by Ruthie Dineen (Piano/Keys) and Andrew Lion (Electric and Double Bass), the group is a composer’s culmination of a converted rock bassist and classically trained pianist to jazz inspired creative music. The leaders’ writing is represented on 2015’s Full-Length recording, ‘see evil eyes | civilize’ with ten original songs and arrangements split almost equally amongst the two. 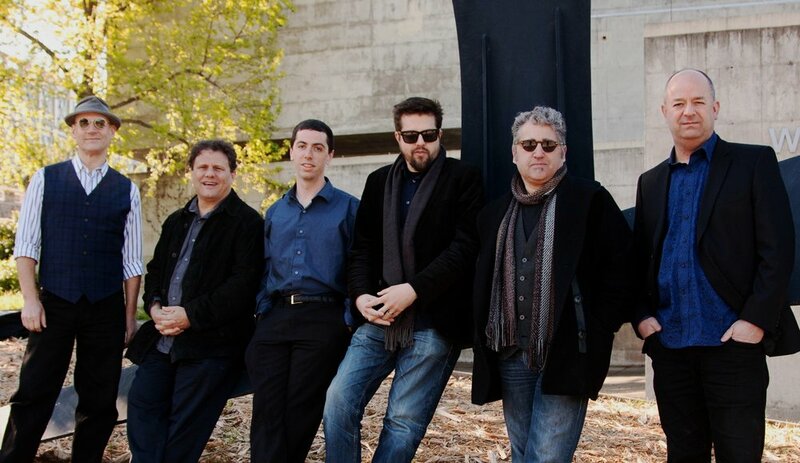 The additional voices of Tony Peebles (Tenor Sax), Rafa Postel (Trumpet), Chris Sullivan (Alto Sax), Lyle Link (Alto & Tenor Sax), Luis Salcedo (Guitar), and Isaac Schwartz (Drums), imprint the music with virtuosity and diverse experience and backgrounds. 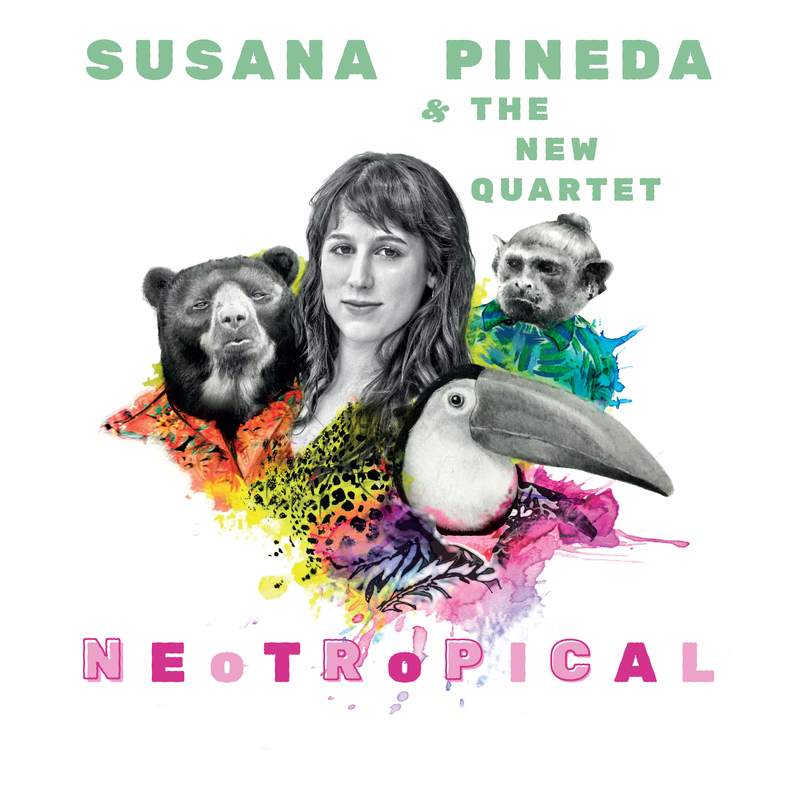 Neotropical, is a fresh and unique album by Colombian jazz singer Susana Pineda, and her international band, The New Quartet. 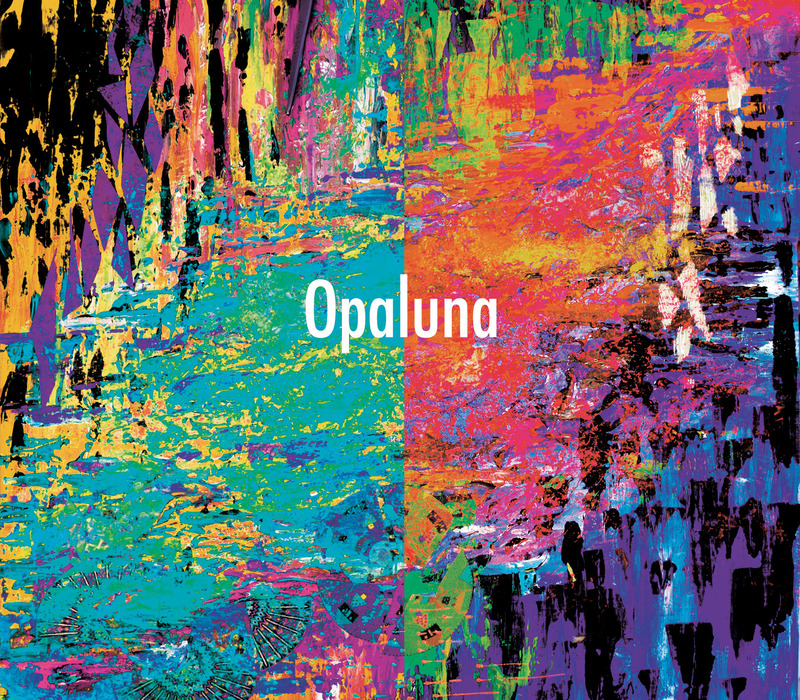 This album explores the musical interaction and intermixture of the city and the nature, the modern and the traditional, the North and South America, in order to create a new, colorful and exciting sound. Featuring special guests Colombian pianist, Juancho Valencia on clavinet, traditional Colombian percussionist, Kiko Cabana and American trumpeter, Erik Jekabson..
Neotropical available July 6, 2018. Heroes, Saints and Clowns brings together an impressive set of improvisers, including Paul Hanson on tenor sax and bassoon (acoustic and with effects); Jeff Denson on double bass and five-string fretless electric bass; trombonist John Gove; Dillon Vado on vibraphone and percussion; and Greg Sankovich on piano, organ, and keyboards. They’re joined on several tracks by Oregon’s Paul McCandless on English horn and oboe, and cellist Joseph Hebert. Heroes, Saints and Clowns available June 22, 2018. 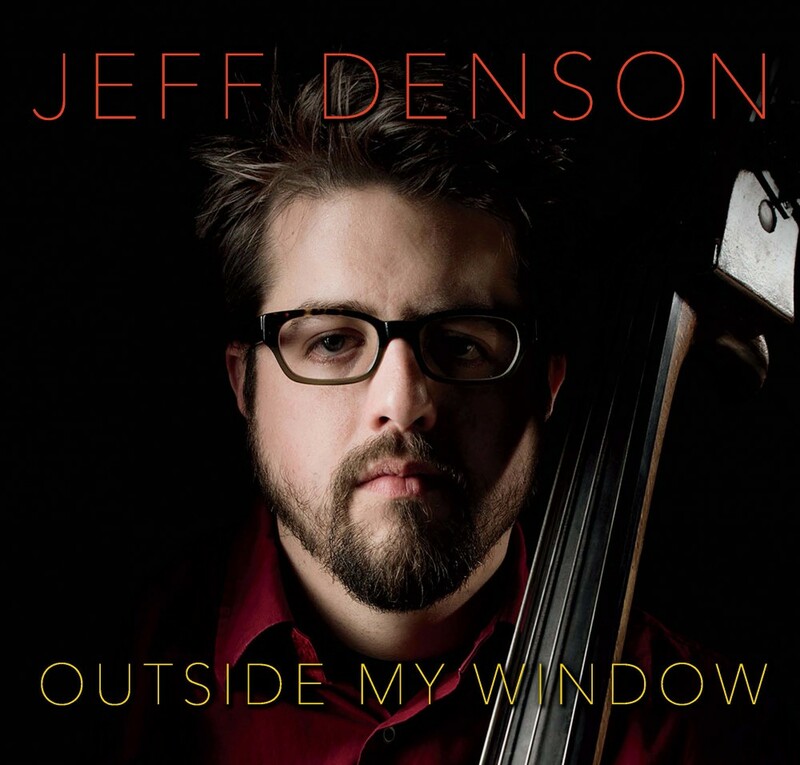 Outside My Window reveals bassist extraordinaire Jeff Denson as a startlingly expressive singer on both original songs and brilliantly reimagined songs by Jeff Buckley, Peter Gabriel, Abbey Lincoln, and Chris Cornell. He’s joined by a stellar cast of improvisers, including saxophonist Dayna Stephens, Finnish pianist/keyboardist Kari Ikonen, and NY-based Israeli drummer Ronen Itzik. Outside My Window available June 1, 2018. Learn more about Jeff Denson at jeffdenson.com. Negative Press Project (NPP) is a self described jazz and indie/art rock influenced music collective based out of Oakland, CA. Recorded at the legendary Fantasy Studios in Berkeley, produced by Jeff Denson with Andrew Lion and Ruthie Dineen, NPP’s delivers their voice through the music of the celebrated artist, Jeff Buckley, with ‘Eternal Life | Jeff Buckley Songs and Sounds’. Jeff Buckley released one album during his all-too-brief life, but 1994’s Grace catapulted the beautiful young artist into the pop cultural firmament, where he remains an incandescently glittering presence two decades after drowning in the Wolf River. Dozens of singers have covered his songs in the ensuing years, but there’s never been a tribute like Negative Press Project’s Eternal Life | Jeff Buckley Songs and Sounds, which was produced by bass master Jeff Denson and is slated for release on his non-profit label Ridgeway Records. Co-led by bassist Andrew Lion and pianist/keyboardist Ruthie Dineen, the expansive electro-acoustic ensemble brings a supple textural palette to Buckley’s material, transforming his emotionally wrought, show-stopping vocal vehicles into strikingly beautiful instrumental settings. 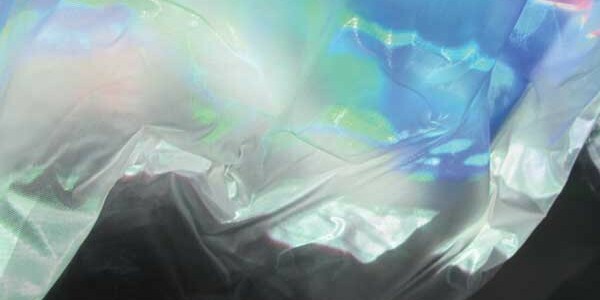 Erasing distinctions between jazz and chamber music, rock and instrumental pop, NPP expands Buckley’s legacy by tapping into his beatific lyricism. 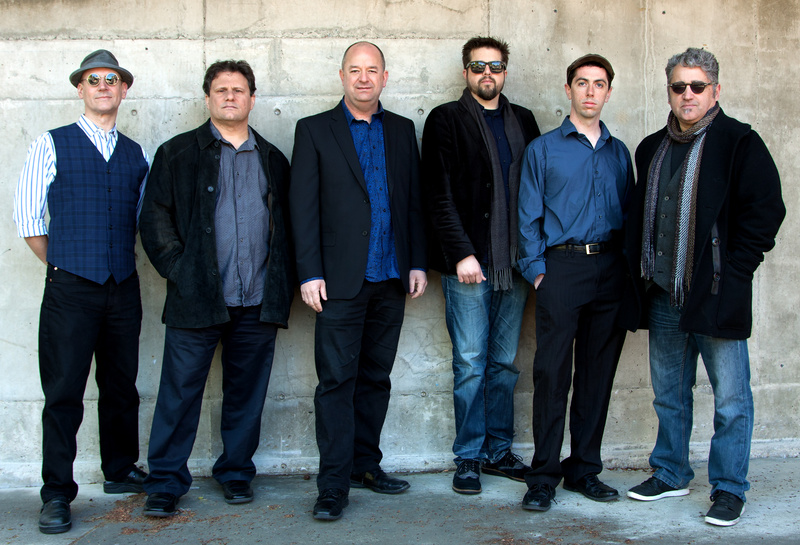 The group is a composer’s culmination of a converted rock bassist and classically trained pianist to jazz inspired creative music. The leaders’ writing is represented on two originals with ‘Eternal Life’- the Lion penned requiem, “Wolf River”, and Dineen’s uplifting, “Anthem (For Jeff Buckley)”. The additional voices of James Mahone (Alto Sax), Max Miller-Loran (Trumpet), Chris Sullivan (Alto Sax), Lyle Link (Tenor Sax), Luis Salcedo (Guitar), and Mike Mitchell (Drums), imprint the music with virtuosity and diverse experience. With Eternal Life as the starting point, music fans of every stripe can experience Jeff Buckley’s music with new ears. It’s a sonic sojourn unlike anything else in jazz and beyond. Now, the leaders take on the music of Jeff Buckley- the subject of a voice taken too soon. This yielded an all new full-length studio recording tracked at the legendary Fantasy Studios in Berkeley, Produced by Jeff Denson with Andrew Lion and Ruthie Dineen, for NPP’s 2017 celebration of Buckley with ‘Eternal Life | Jeff Buckley Songs and Sounds’. When Sgt. Pepper taught the band to play, he couldn’t have foreseen the extraordinary San Francisco String Trio. The Bay Area super-group featuring guitarist Mimi Fox, bassist/vocalist Jeff Denson, and violinist Mads Tolling has found a consistently enthralling vehicle for musical exploration in the 1967 masterpiece. May I Introduce to You is the trio’s debut album and a loving homage to the classic Beatles record on its 50th anniversary. 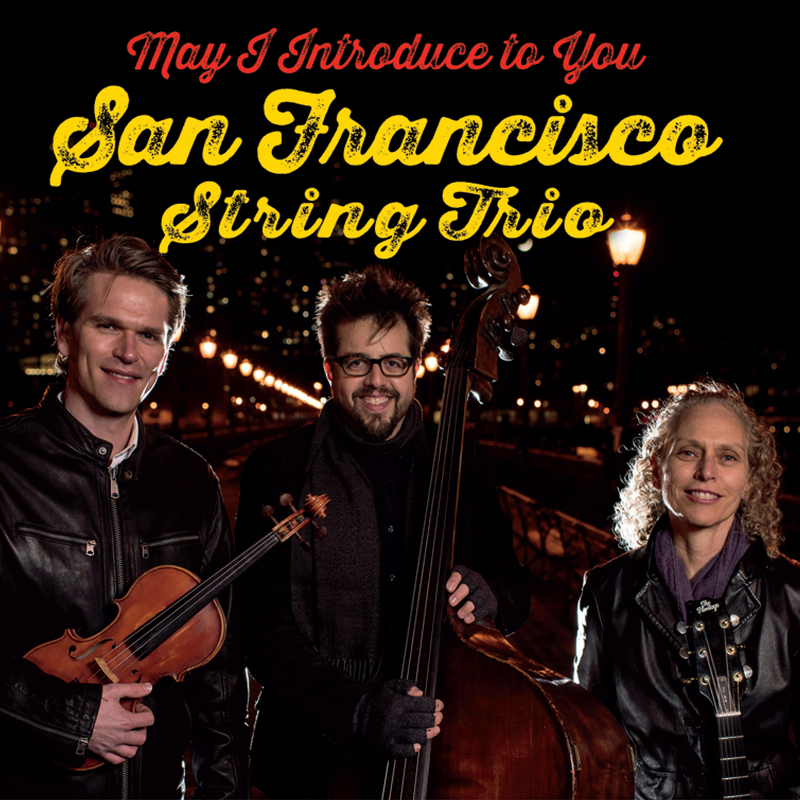 The SF String Trio brings together three celebrated masters who have each recorded critically acclaimed albums as bandleaders. Much like the Beatles drew on an array of traditions and styles in crafting Sgt. Pepper’s, the cooperative ensemble approaches each track as an opportunity to imbue supremely familiar songs with a sense of delight and surprise. The idea was to do something different to shake up these fantastic songs, but not just for the sake of doing something new, says Fox. We’re all coming from a jazz background and we like to mix things up. The trio’s emotional connection to Sgt. Pepper’s is evident throughout May I Introduce to You, and every track sheds a bright and revealing light on the genius of the Beatles. Tolling transfuses some of Joe Cocker’s gospel fervor into his ballad arrangement of With A Little Help From My Friends, and sets a good deal of Lucy In the Sky With Diamonds to a crunching 5/4 beat. Fox evokes George Harrison’s sitar with a sleek modal interpretation of Within You Without You and delivers a ravishing solo rendition of She’s Leaving Home. Denson’s arrangement of Fixing A Hole incorporates his striking vocals, as does his multilayered unpacking of A Day In the Life, another tour de force that distills the song’s essence while winding its way to a surprising climax, with Fox’s twang replacing the famous last crashing chord. Metal na Madeira (Metal on Wood) is more than a portrait of two artists carrying out a project together. It is a portrait of Brazil, more specifically the Brazilian Northeast. The album art was developed based on a traditional Northeastern art called Xylography, in which the artist develops an image by engraving wood with a metal object. 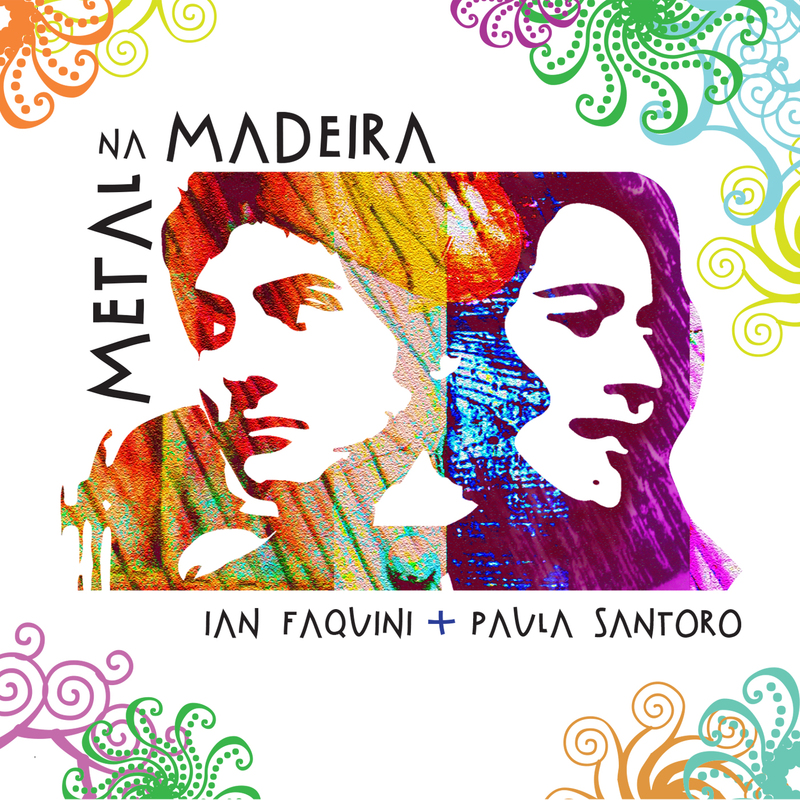 Likewise, Ian Faquini and Paula Santoro engrave their music into the listener’s heart as the metallic harmonics of the voice interplay with the wooden tone of the guitar. The album features all original compositions by Faquini and presents a fresh take on traditional Northeastern rhythms such as Maracatu, Frevo, Baião, Xote, and Toada, maintaining a foot in the past while stepping towards the future with modern harmonic and melodic structures. The lyrics of the CD describe the exuberance and poverty of that region of Brazil –the joy, colors and natural beauty, but also sadness, drought and longing of a people who are accustomed to extremes. Metal na Madeira counts on an All-Star cast of collaborators and special guests who helped develop the album’s unique sound. It features Saxophone extraordinaire Spok, who arranged the explosively joyous title track and plays soprano sax alongside Harvey Wainapel on alto sax and clarinets on his own beautiful and soulful arrangement of Pinhem-Pinhem, Jeff Cressman on trombone, Vitor Gonçalves on Rhodes and accordion, Scott Thompson on bass, Rafael Barata on drums and percussion, Sergio Krakowski on pandeiro and Sandy Cressman and Viven Monica Golcwajg on backing vocals. 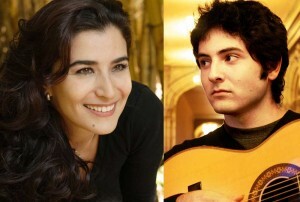 Paula and Ian first met through the Brazilian composer Guinga, with whom Paula collaborated on a record and tour around Brazil and Europe in 2007, launching the composer’s album titled “Casa de Villa”. Ian met Guinga when he was 16 and this encounter changed his life. Ian fell in love with Guinga’s music and began devoting himself deeply to composing and exploring his own Brazilian roots through music. 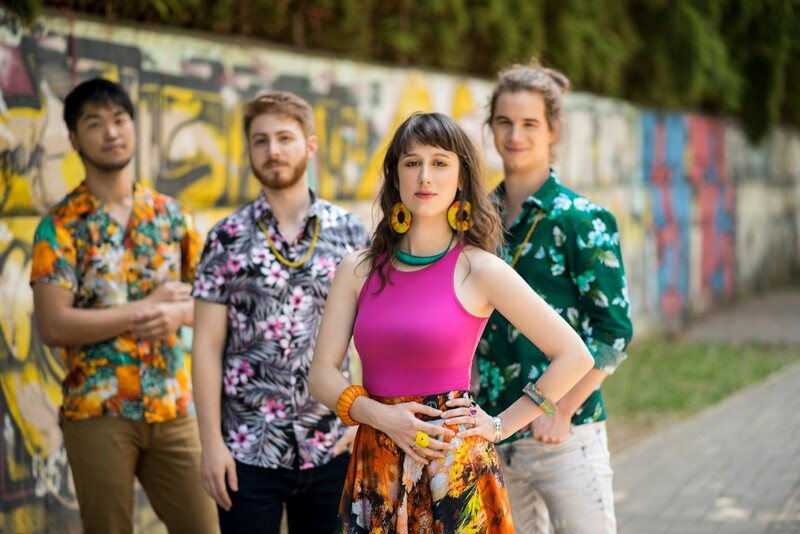 In 2014, when Paula and Ian were both part of the faculty at California Brazil Camp- a performing arts camp focused on Brazilian music and dance, Paula fell in love with his compositions and their partnership began. 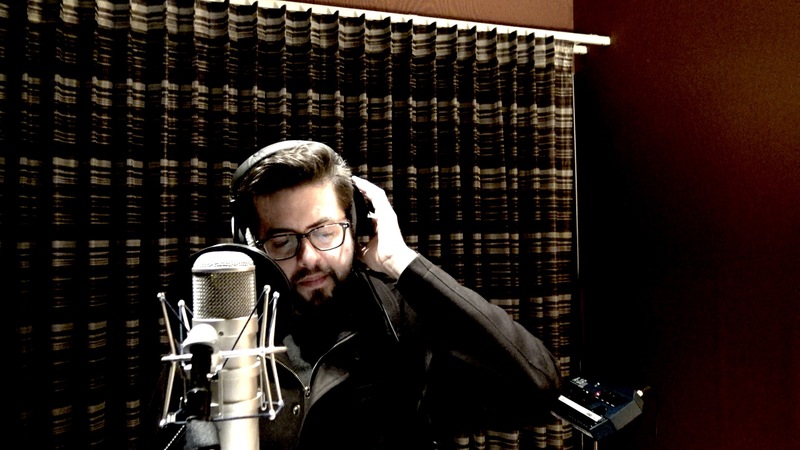 The mutual admiration sparked a desire to record an album together and they did so at the famous Fantasy Studios in Berkeley, CA in September of 2015. 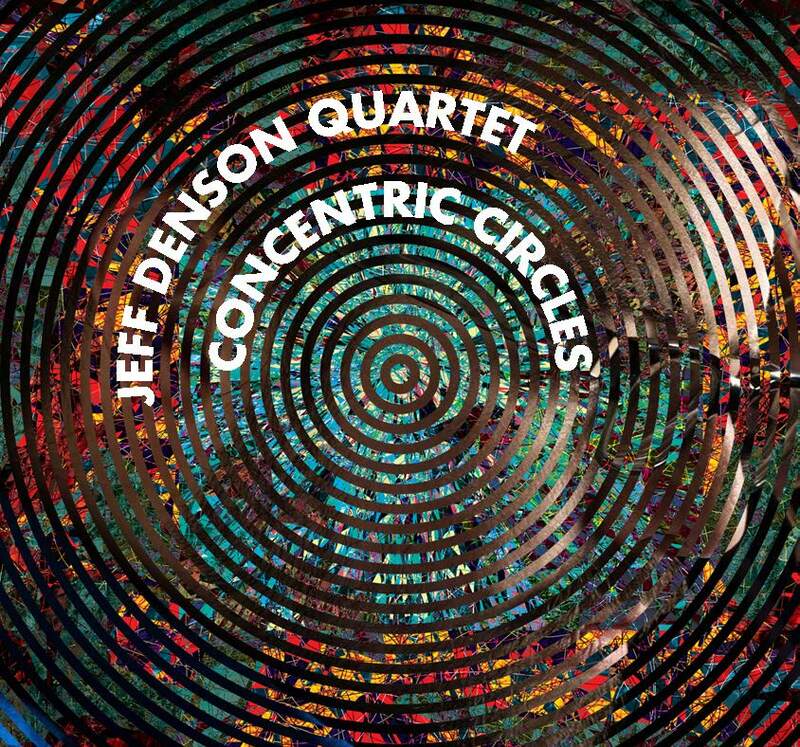 Concentric Circles is the fifth album by Denson and after the last three where he explored freely improvised music, a unique take on gospels and hymns, and a tribute to the music of Lennie Tristano and Lee Konitz, he has returned to exploring his original compositions in the same vein as his initial recording, Secret World. Denson’s music pushes through the boundaries of conventions in music. By inventively mixing the world of composed and improvised music, Jeff Denson creates a unique language of his own, where intoxicating melodies and rhythms transport the listener away to unknown lands where vivid hues of tone paint the aural canvas of the inner ear.